Is Your Small Business Website Making One of These 5 Mistakes? If you’re a small business owner, chances are, you’re strapped for time. You have so many tasks on the go, worrying about your website shouldn’t be one of them. However, there are a few website mistakes that most small businesses are guilty of. From not having a website at all, to poor design and outdated information, these mistakes hurt your chances of attracting new customers. The good news: these blunders can be easily fixed so that your website both looks and work great. A top-notch website is a key marketing channel for your business that merits your time and attention. Done well, your website will pay dividends with maximized traffic, revenue, and new customers. 1. No Website at All! The cardinal sin of websites is to not have one at all. 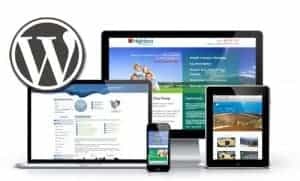 You might not think your business will benefit from having a website—maybe you think it’s too much hassle to set up or to maintain. 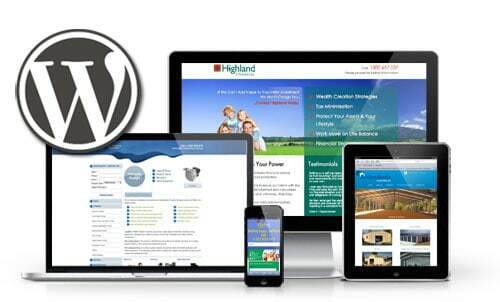 Regardless of your industry, niche, or the product/service you sell, you need to have a website. No exceptions. The level of investment you make into your website, however, is up to you. You can set up a website with a drag-and-drop page builder in a matter of minutes, which requires very little upkeep on a daily basis. Or, you can choose to self-host a website where you’ll have more control over the look and feel. This can be a good choice for those looking for more oversight, but it can be easy to get overwhelmed by this higher level of customization. Check out the different website design and hosting options available to you, choose one, and get building! 2. Your Information is Out of Date! If your website doesn’t provide visitors with the information they’re looking for, it’s not doing its job. Current and potential customers will visit your website for a variety of reasons. They may be looking for your business hours, prices, or customer reviews, or perhaps they walked by your store and just want to see what you’re all about. The website must answer the questions your visitors have by providing easily accessible, relevant content. For any business, contact information is especially important. Your customers need to have multiple ways to contact you. Be sure your website has a dedicated contact page or include this information in the website’s footer. Remember, contact includes social media. Links to your social profiles should be prominent on every page. Go through each page of your website and make sure the information is current and correct. Make sure all links are functional, and that your contact information and social profiles are easy to find. 3. Your Website Looks Bad or Dated! Most small businesses lack the capability or the budget to spend on the million-dollar web design! This is no excuse though, for having a website that looks bad. The look of your website is affected by many different aspects on the page. This includes the navigation bar, the header, the page body, and the footer. In all of these areas, make sure your website doesn’t use flash animations, auto-play music or videos, or loud and busy fonts and colors. If your visitors encounter any visuals that are hard on the eyes, they’ll be gone in no time! It’s also important in the age of mobile devices for your website to be responsive “mobile optimized!”. Check the appearance of your website on a few devices with different screen sizes to make sure it looks good, no matter what device it’s viewed on. Make sure your website doesn’t commit any of the design faux pas above. If you have some extra funds kicking around, don’t hesitate to hire a graphic or web designer for a few hours to help streamline the look of your site. Your website needs to tell visitors what it is that you want them to do! Depending on what you offer, this could be a variety of things. Perhaps you want visitors to download your e-book or join your e-mail newsletter list. Maybe you simply want customers to contact you for a consultation. Regardless of the goal, you need to be explicit about what that goal is. Once you’ve determined your goal, put it into words. Your call to action should start with an action verb, like BUY, DOWNLOAD, or SUBSCRIBE. Make it easy to find but without anything annoying like pop-ups or flashing arrows. You’ll have to trust that the right customers will complete your desired action, without resorting to tricks or false advertising. Add a call to action on your main page instructing customers to take a certain action. Then, track your sales, or “conversions” to see how you’re doing! Unlike in Field of Dreams, your website is not a case of “if you build it they will come.” Rather, you need to have a codified marketing strategy for your website in order for it to be found by anyone. Don’t be shy about promoting your website wherever possible: at networking events, on your social channels, and on your business card. Marketing your website includes optimizing it for search engines. Search Engine Optimization (SEO) is a simple, straight-forward task where you decide on a number of keywords that describe your business, and that people may use when searching for you online. With SEO, you include these keywords naturally throughout each page, as well as in page titles, in image attributes, and in the Meta Tags used by search engines. Each website host will make these options available, you just need to take advantage. Audit each of your web pages to make it clear what you’re selling. Utilize the settings provided by your website provider to optimize each page for search engines. In today’s search-oriented society, the reality is that most of your potential new customers will find you online. This may be through search engines, a referral link on another page, or through your social media channels, but no matter the method they will all encounter your website. Your business will reap the rewards when your website is optimized with excellent design, accessible information, and a defined marketing strategy. You owe it to your business to make your website the best it can be. Your customers will thank you! A freelance writer and business blogger based in Vancouver, Canada. She specializes in creating share-worthy content that helps businesses succeed, by understanding customers, context and competitors. In her spare time, Courtney can be found catching up on Bachelor gossip or trying to perfect her latest baking recipe. Find her on Twitter or LinkedIn!